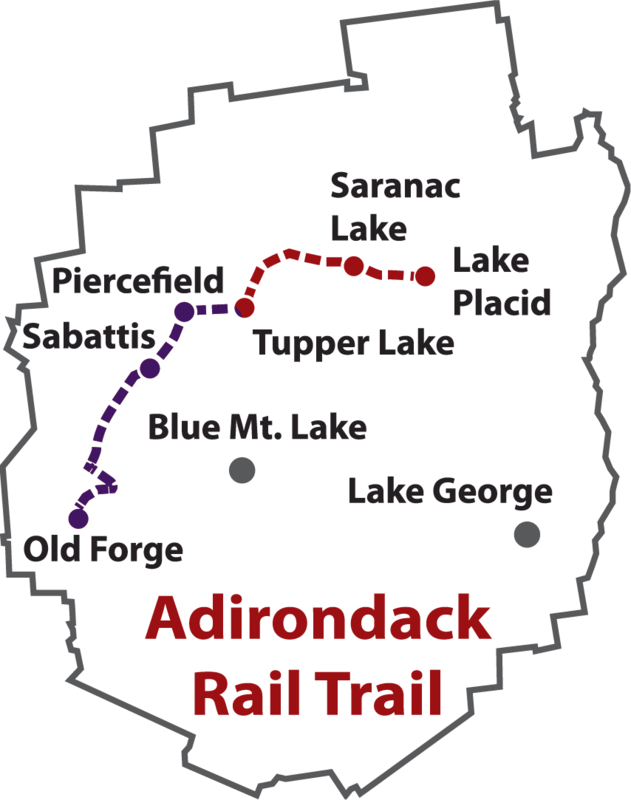 The Adirondack Rail Trail will preserve the history of a railroad that made access to the interior of the Park possible, hauled minerals and timber to distribution centers, allowed wealthy landowners to develope and visit their properties, and transported thousands of people sick with tubrculosis and their loved ones to Saranac Lake for treatment. The rail-trail will promote this history by using signage, educational materials, and most important the physical artifacts of that bygone era to educate and amuse visitors. Historic depots will become mini-musems celebrating the railroad's history, lumbering and mining, and the Trudeau Sanitorium's role in making Saranac Lake the largest village in the Adirondack Park. Depots and railroad cars that once carried frieght and passengers will provide space for exhibitions, information centers, cafés, bike repair shops, and other amenities. Delapidated and destroyed depots will provide a basis for local community revival and restoration, providing new commercial opportunities to serve the hundrers of thousands of expected trail users.